The same is true for us basketball scouts. Mindlessly watching games won’t make you better at basketball scouting. Your mindset and your scouting habits play key roles in getting better. Let’s go over scouting habits today. 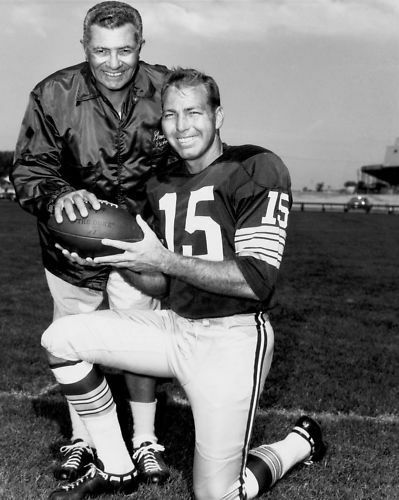 I narrowed it down to these five habits you can implement to drive your scouting development. Deciding means setting your focus and your scouting goals. What do I hope to accomplish by watching this game? I remind myself of this constantly when I’m at work. Trying to absorb everything on the court deeply is a losing proposition, especially for a novice scout. But if you know what you want to learn from watching a game, you can ensure you are on the right track. Come up with a question you want to answer in the game you’re scouting. The question can be a simple one. Having this question in mind allows you to focus on what matters, rather than getting distracted easily. It points you in the right direction so you can practice the rest of these basketball scouting habits, too. If you’re there to watch one player in particular, I suggest starting with the one basketball scouting question you always need to answer. Basketball scouting throws a lot of different situations at you. Here are a few I faced early in my journey. Watching two top high school teams with multiple NBA prospects face off in a packed college arena, on national television, while sitting in baseline seats with a poor angle for the action. Evaluating high school underclassmen scrimmaging in a camp setting in an otherwise empty gym, without receiving accurate player rosters until after the scrimmages were over. Attending college practices where I sat far away from the court and attempted to follow the practice while an assistant coach tried to hard sell me on his players. Staying awake through a grassroots game with a 9:40 PM tip-off after having been in the gym watching games since 7:15 in the morning. The environment and level of play impact your ability to do your job well. They require you to have different tactics in your toolbox that allow you to succeed in a variety of situations. I feel grateful in my career because I was exposed to a wide assortment of experiences early on. I didn’t have a choice but to learn how to adapt to the situation at hand. External situations might not be challenging you yet, but they will eventually as you progress in your career. Take what control you can by choosing to challenge yourself. Challenging yourself means two things to me. Putting yourself in unfamiliar situations. By situations, I mean both the environment and your goals. Especially when you’re starting out, and no one is relying on your work, you have the opportunity to try new things for the sake of practice. Sit in different places in the arena. Scout morning games, afternoon games, and night games – sometimes all in the same day. Focus on one player for a game, then scout the whole field the next game. Watch camps, high school games, grassroots games, whatever you can get in to. Experiment with different ways of taking notes. For instance, I once watched a game and decided I would focus only on players’ jump shooting forms. By focusing your energy and concentration on one small thing, you can strengthen your basketball scouting eye in that area. Habit #3: Go more deeply into detail. The most common area of weakness I see for new scouts is a lack of detail in their reports. You have to answer, why not? When I read a scouting report that said, “This player is a good shooter,” here’s what goes through my head. What range of shooting is the scout referring to? Three-pointers? 10-footers? 18-footers? What kind of shots? Jump shots off the catch? Dribble pull-ups out of the pick-and-roll? Free throws? Hook shots from the block? Floaters? Why does the scout think this player is a good shooter? Is the player’s form particularly great? Does the player shoot on balance every time? Does the shot have a quick release? Did the player have a great shooting game when the scout saw him or her? Evaluating players in greater detail lets you communicate more effectively and uncover information you wouldn’t have noticed before. For an example of work that puts this idea into practice, check out Ian Levy’s 2014 Rookies Deconstructed series at VICE Sports. Levy goes into great detail in describing specific aspects of rookies’ skills that stick out to him. You can start with his Jahlil Okafor article. It’s true for every type of scouting. Focusing on detail is central to advance scouting as well. To properly describe how a team plays, you must be specific in noticing little things about how they play and what makes them successful. If your advance scouting report lacks detail, it won’t be of much use to your team’s preparation. However, it’s not always clear what exactly people mean when they talk about a team’s pace. The term often seems to be used to convey a number of different facets. If you seek more detail in your work, then instead of settling for saying a team “plays slow,” you explain what about how they play is slow. And you help others in the process. By being more specific, in whatever type of basketball scout you are, other people can learn more from your work. Plus, this habit benefits you directly, as described in Habit #2 above (Challenge yourself). Going deeper into detail forces you to push yourself beyond your current limits, which is where improvement happens. If you stay complacent in your current level of detail, your development as a basketball scout will proceed much more slowly. Habit #4: Explore how skills are related. This one is a key part of going more deeply into detail. We often think of different characteristics like shooting, passing, and athleticism as totally separate skills. But while they are different skills, they all influence one another. Skills aren’t independent of one another. They fit together in some way. As a scout, it’s up to you to try to untangle them. I’ll explain with point guard examples. 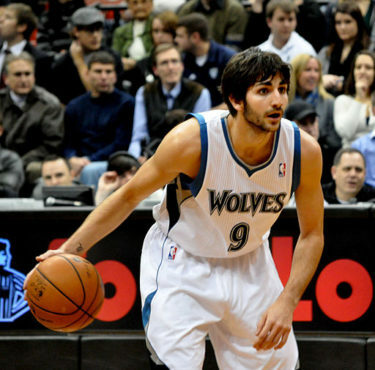 Ricky Rubio has playmaking skills and court vision that contribute a ton of value to his team. However, the impact of those skills is constrained by his ongoing struggles to finish at the rim or make jump shots consistently. Because defenses don’t worry about his scoring, they’re able to focus more attention on Rubio’s teammates, which limits Rubio’s passing output. If opposing defenses feared his scoring, it would open up opportunities for Rubio’s passing to look even better. If you’re interested only in the output, then what you see is what you get. It’s how fantasy basketball works. But when you’re a scout trying to measure different sets of skills, then the raw skill matters. Depending on team context and the development of other skills, that partially hidden skill could reveal itself in an even bigger way in the future. Kendall Marshall also comes to mind. His raw passing ability and decision-making are there. However, he lacks the quickness and foot speed to bend the defense to create opportunities for teammates. And because he can’t consistently gain much separation from defenders, there’s less room for him to make passes as well. When put in Mike D’Antoni’s offense on the 2014 Lakers, which featured lots of shooting and screening actions that put pressure on the defense and finally allowed him space to work, his passing shined. He finished the year as one of the NBA’s elite assisting point guards, averaging 8.8 assists per game. Following his return to more conventional situations in Milwaukee and Philadelphia, his passing production looked much less remarkable. He ultimately retired from basketball in 2017 at age 26. 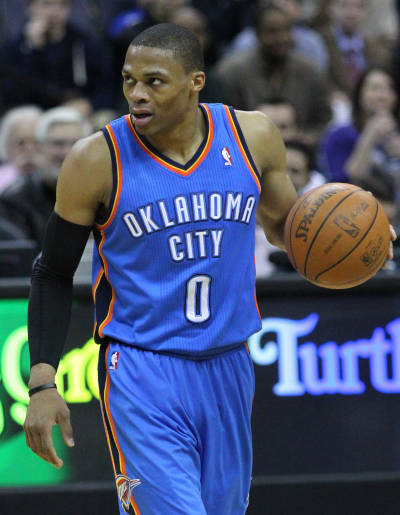 Finally, you have Russell Westbrook. His raw passing ability is magnified by his immense athleticism and scoring ability. Due to defenses’ fear of his scoring and his own skill at creating separation from defenders, he can showcase his playmaking in a big way. Those other skills and attributes enhance his passing output. What might be lying beneath the surface. Seeing how the different pieces fits together makes you better at scouting. Habit #5: Review your work. As we discussed when we learned about mindset, there exists a lot of uncertainty in the game. Plus, our own beliefs and mental habits influence our judgment. While I do recommend practicing deliberate thought as described in the mindset article linked above, there will be things – unconscious thoughts and patterns of yours – that you miss. It’s one reason I find it helpful to come back to my reports later and review them – even years later. What did I miss? What do I habitually seem to consider too much or too little? Early on in my work, I had a bad habit of undervaluing rebounding. When I scouted games, I’d tend to not notice rebounding enough. I was too caught up in offense and defense. I became aware of it by looking back at my reports over a period of months. Once I realized this tendency of mine, I was able to make a new habit of reminding myself to look closely at the rebounding portion of the game. NBA teams practice this habit too, often scheduling yearly reviews for their scouts based on past work. Reviewing your work has another important role. It allows you to see how you’re developing. It will probably be obvious to you, as you look back on your work from months or even weeks ago, that you’re getting much better. That’s a big confidence booster! These five scouting habits can serve as keystones in your development as a basketball scout. Recapping them, here they are again. What do you want to get out of this game? Ask the question that matters. Don’t wait for things to happen to you. Make it your choice. Get out of your comfort zone by putting yourself in different situations and experimenting with new techniques. 3. Go more deeply into detail. Always search for ways to be more detailed in your evaluations. It’s good for you — and for the people who read your work. 4. Explore how skills are related. Look beyond the surface to see how skills, strengths, and weaknesses might be connected. Go over past reports to see what you’re doing well and what needs improving. That’s all for this now.